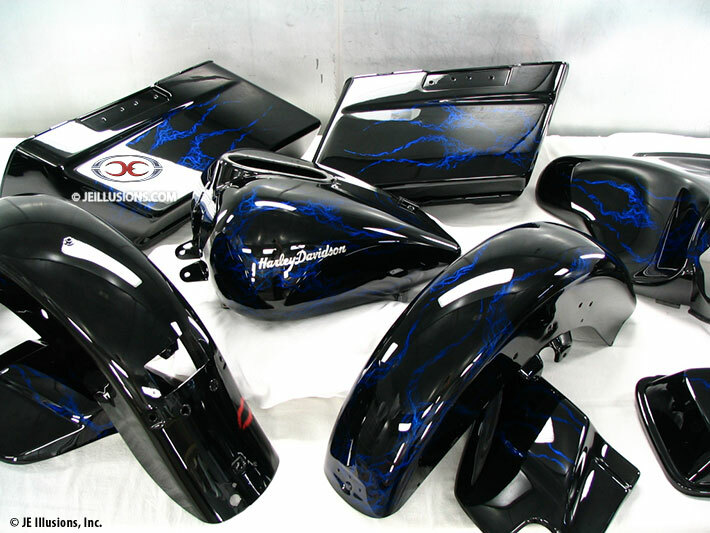 This bagger set began with a jet black base. 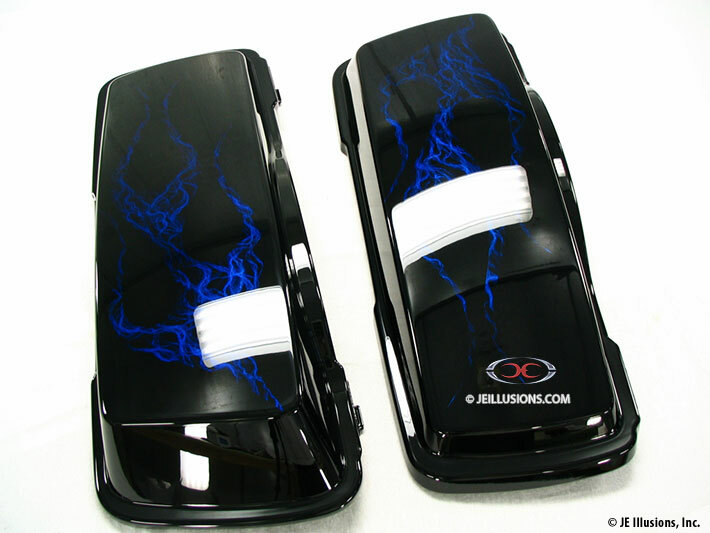 Traditional classic flames were hand laid out on every part symmetrical from side to side. 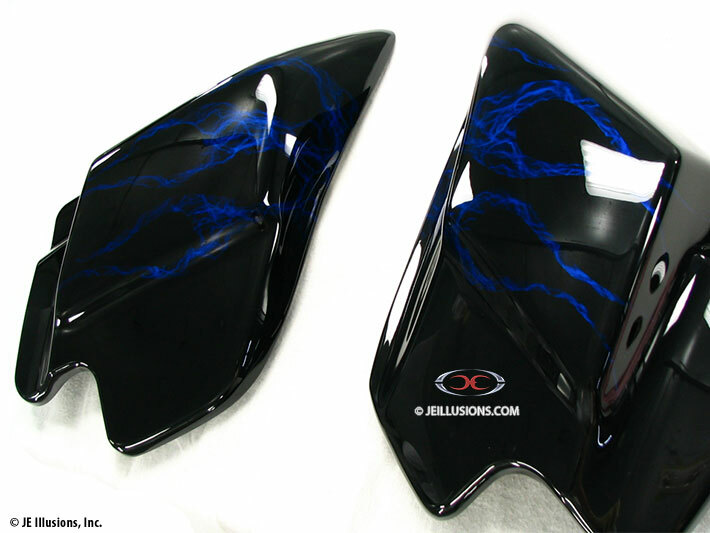 Our signature marble was then airbrushed inside and kandy dusted over the top in cobalt blue. 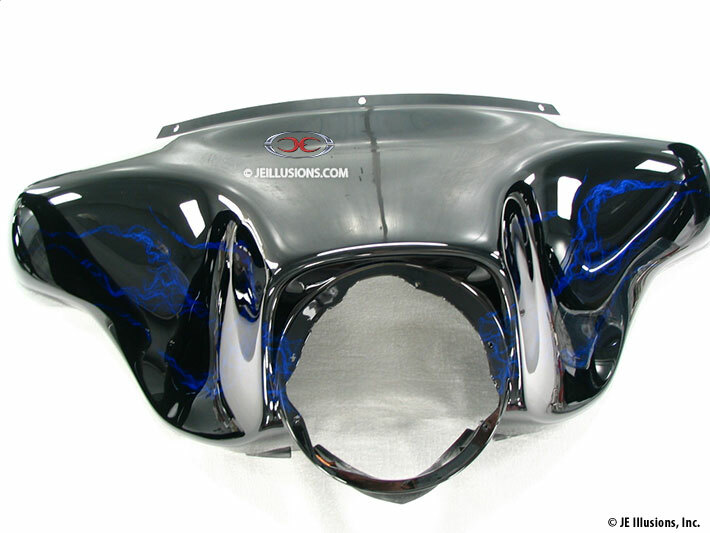 Custom Harley-Davidson script was then airbrushed on each side of the tank.